How do I change font in my email templates? Sometimes fonts DO matter. 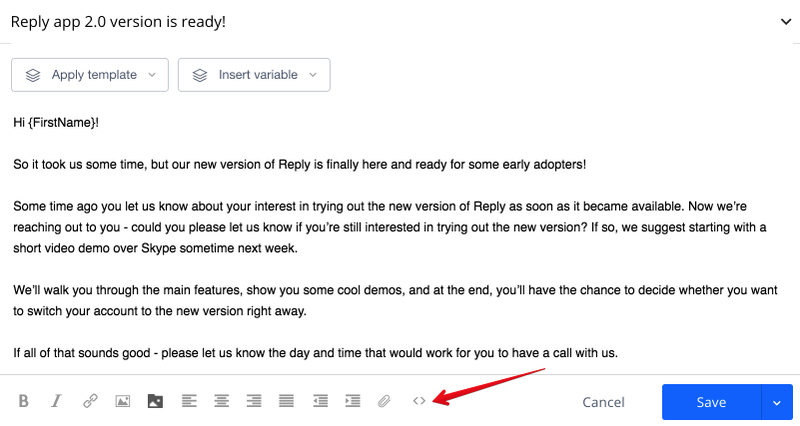 If that's the case, then wait no more - here's how you can change the font of your email templates in Reply.io. To be able to change font of your email templates, you need to request HTML editor to be enabled for your account. Contact us in Live Chat or via email: [email protected]. When it's enabled, the source code icon will appear in the tool bar.